Burdened with overwhelming responsibility, being held accountable, doing things the hard way. This Dryad bears the weight of what seems a miniature world upon her back. 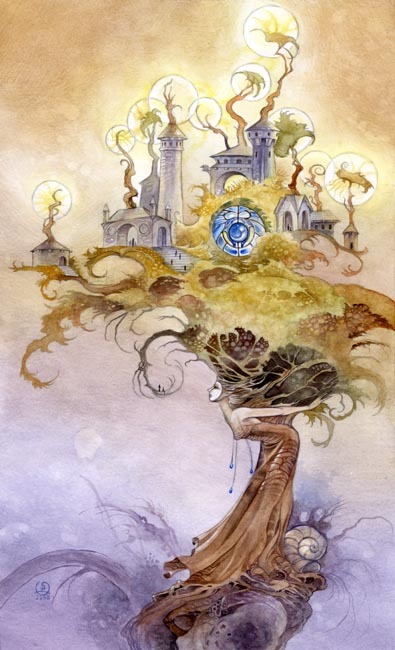 The support and welfare of the beings who inhabit those towers are hers to nourish with the flow of life's sap through her branches and leaves. Their soul is the song that spirals up through the foliage from her heart.